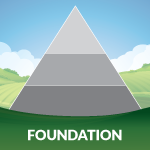 The foundational principles supporting the Framework are critical to the success of prevention, early intervention, and intensive supports for the positive development of students’ social and emotional competencies and mental health. - State and federal statutes provide specific protections to students and parents regarding pupil records. - School policies are consistent with and promote the mental health and wellness of students and educators. Prevention through universal and early intervention supports are provided as a continuum of services to address the needs of all and minimize the severity for those with acute or persistent mental health challenges. The use of culturally responsive programs, practices, and procedures with the best available evidence balanced to fit to the school’s population and values promotes effective school mental health supports for better student outcomes. Schools include comprehensive school mental health strategies and reflective strategies in their school improvement plans to ensure school mental health initiatives are prioritized. Schools integrate their mental health initiatives into their already successful multilevel system of supports. Rather than focus on control and punishment, schools focus on creating positive classroom and school environments with social-emotional and mental health skill building using clear and consistent expectations. - Adults shift their perspective to understand that attention to students’ social-emotional and mental health needs is critical for their academic success. - Co-planning with students and families becomes a universal value through two-way dialogue that recognizes student and family perspectives as necessary contributions to student success. - Staff self-care is not only part of the comprehensive school health model, it is a needed ingredient to the success of students. Social-emotional competencies are promoted based on high standards, school-wide expectations, and teaching. Mental wellness education, stigma reduction, and suicide prevention education are practices available for all student. -Professional development is coordinated with school and district improvement priorities, sustained across time and initiatives, and progress in mental health topics from introductory to in-depth throughout the school year. - Sustained implementation is supported by Implementation Science. The district and school teams engage youth, families, community members, and organizations to advance student health and learning.